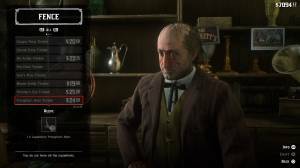 By default, legendary animal parts are stored in your satchel and you can’t sell them by mistake since only trappers and fences will buy them from you. They will only use the parts needed for the particular outfit piece or trinket so rest assured that skinning one legendary animal will yield enough materials for all related outfits and trinket that you can craft/buy from the trappers/fencers. Collected legendary pelts are also permanently registered to the trappers. 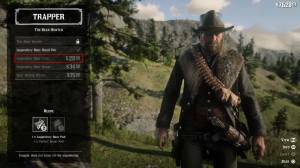 As long as you skinned a legendary animal and for some reason, lost their pelt, the trappers will automatically list the pelt as part of their inventory, allowing you to buy the corresponding outfits from them. The only downside for this is that you won’t earn a bit of money from selling the legendary pelt/skin yourself. Legendary animal carcasses can also fetch for a high price if you sell them. The only exception are the carcasses from large and heavy animals like alligators, bisons, moose, boars, and bears which you can’t load on your horse. Sell these carcasses to trappers instead of donating them for provisions. Comments for Where to store legendary animal parts?